Anti-Slip Safety Flooring System, Single Component is a water-based flexible acrylic anti-slip floor and deck coating formulated for pedestrian traffic. 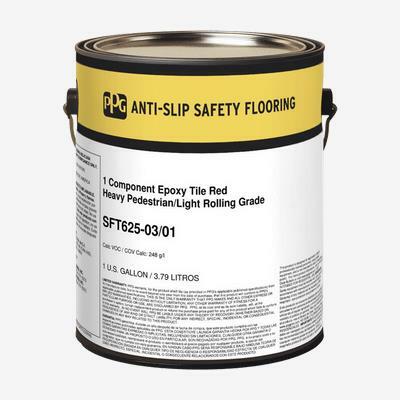 This anti-slip safety coating is easy to apply, dries quickly, and offers optimum adhesion to asphalt, concrete, wood, and metal surfaces. It is easy to clean up, economical to use, and since it’s a one-component product, it may be resealed and saved for future use.